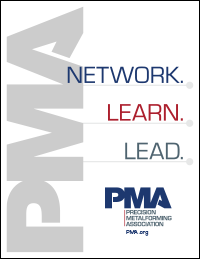 PMA is pleased to highlight Chip Michaelsen, president of ODM Tool & Manufacturing Co., Inc., McCook, IL. Founded in 1946 by Chip’s grandfather, Otto D. Michaelsen, ODM has grown from a small tool and die shop to a leader in precision metal stamping, offering a range of value-added services. With a 100,000-sq.-ft. state-of-the-art manufacturing plant and a new 50,000-sq.-ft. shipping facility, ODM has the resources to serve customers nationwide. 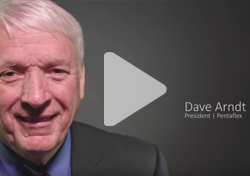 Hear Chip's thoughts about technology challenges facing metalformers, what’s on his wish list for his plant in 2015, the best conference he and his employees have attended in the last year, and more! A: Engineers and tool and die makers are impossible for us to find. A: Great question. I think it has to do with learning about lighter weight materials and dealing with reduced tooling lead times that our customers demand, as well as compressed PPAP timing. Nothing is easy and our customers want everything finished, YESTERDAY! Q: What is on your wish list for your shop in 2015 (i.e., a new piece of equipment)? A: Our company is in a NO SPENDING MODE, until at least June. If I won the lottery, ODM would buy a huge servo press and we would upgrade our ERP system. A: We have sent five people through the PMA Management Development Academy (MDA) program in the last 18 months. The MDA is by far the best conference we have attended. I attended the Executive Development Academy (EDA) program in Tampa in January, and I would like to go again next year. Q: What conference topic (related to the metalforming/manufacturing industry) would you be most interested in attending? A: I would like to attend a servo-press technology conference and I always like the Automotive Parts Suppliers Conference (APSC), which I will attend in April. Q: Minivan, SUV or sedan? A: My wife and I both drive SUVs.